Gruezi wohl and welcome to Chalet Bergheim – we are delighted to share our mountain home with you! We always dreamed of finding a secluded, tranquil place in the mountains with easy access to enjoy year-round activities. Chalet Bergheim does exactly that. Built in 1933 in traditional swiss walliser style, our chalet is the perfect place to escape to the mountains. Nestled in the tree line at 1750m and overlooking the rooftops of Zermatt, the 4* superior chalet is directly on the sunegga ski-piste. This gives access to the 450 kilometres of pistes offered by the best-known resort in Switzerland. Ski hard all day, grab a glass of red wine and sit in front of the open fire or enjoy the evening sunshine taking in the majestic views of the Matterhorn. Perfection. 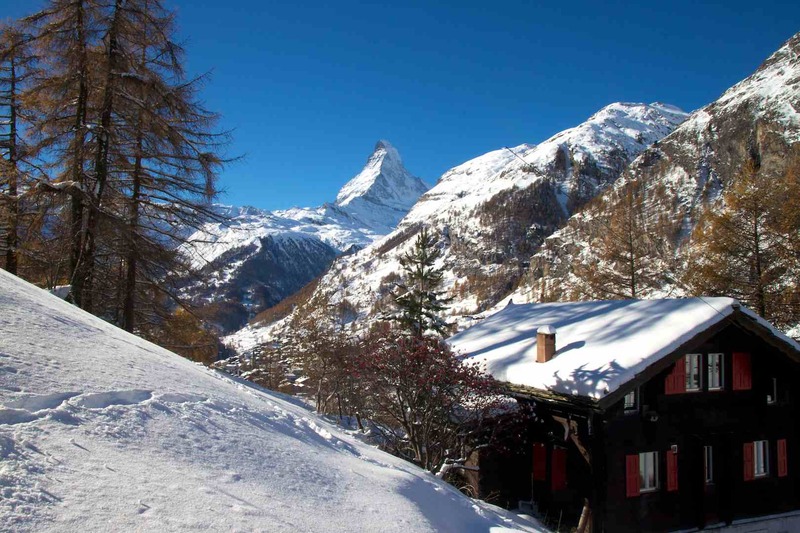 Chalet Bergheim offers accommodations in Zermatt, just 40.2 km from Leukerbad. The property is 16.1 km from Saas-Fee and features views of the mountains. There is a sitting area, a dining area and a kitchen as well as a private bathroom. A flat-screen TV is available. Other facilities at Chalet Bergheim include a hot tub and barbecue. Verbier is 41.8 km from Chalet Bergheim, and Aosta is 46.7 km from the property. There are lots of activities in the area, such as skiing and biking. The nearest airport is Agno Airport, 88.5 km from the property. We speak your language!